How much storage is enough? How about 8 freaking Terabytes? 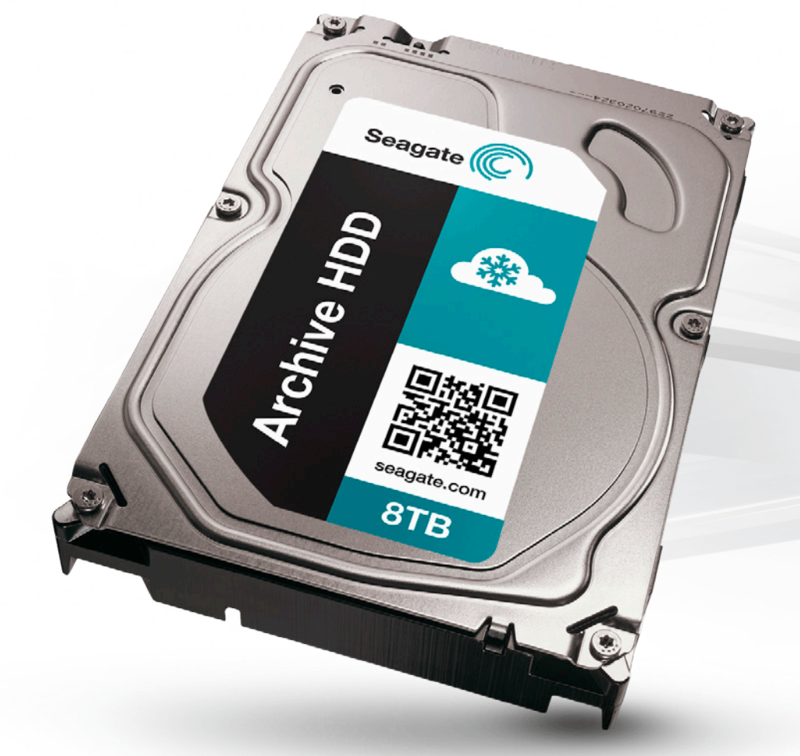 Several online retailers are now listing Seagate’s up and coming Archive HDD for a Jan 7th, 2015 with an interestingly low price of $267. The new Archive HDDs come in 5, 6, and 8TB capacities and offer 1.33TB of storage per platter. These drives spin at 5,900 RPM which is a bit better than Western Digital’s WD Green (which spins at 5400 RPM). Seagate’s new drives make use of SMR (Shingled Magnetic Recording) that overlaps tracks on the platter to produce more storage capacity. As with new technologies, performance and compatibility might be an issue so be aware when thinking of purchasing one. Seagate’s SMR Archive HDDs feature 128MB of cache, a maximum sustained data rate of 190 MB/s, and an average of 150MB/s. They also feature a low power draw of 7.5W and 5W during idle. Sleep and Standby power draw is lower than 1 watt which should be more than enough for people who want to build a low power home-based NAS.